We had some grand adventures planned for our first full-fledged safari this week. While you may know where you are going, and even if you are going to a place you've been before, the experience revolves around the people sharing the adventure with you. Six hours of grid hopping brought that point home to me. aren't as different as night and day but their interests diverge. 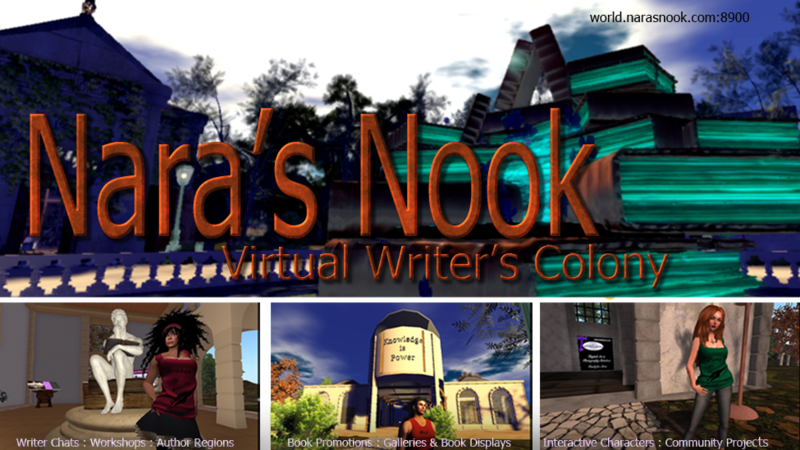 I think the evening group springing up from our base at Nara's Nook is more reader/writer/romance focused. Diverging interests will lead to diverging paths, but more on that later. 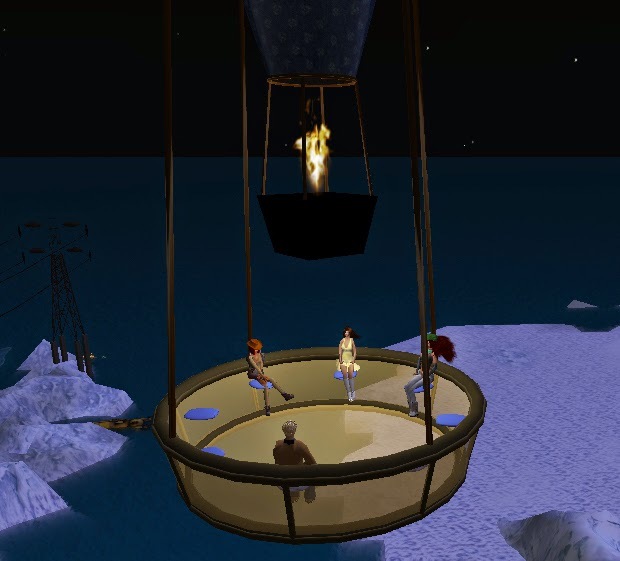 I promised the Moonlight group creatively inspiring adventures. The first was in L'Hiver du Grand Nord from Dabici Straulino. It lived up to the promise, sledding being the favored pastime but the romantic call of the hot air balloon and the beautiful rural setting filled our hour with oohs and aahs. The graciousness of Dabici and Kelso Uxlay went above and beyond--it was something like 3 AM for them if I am calculating right and they stayed for every minute right up until we left. 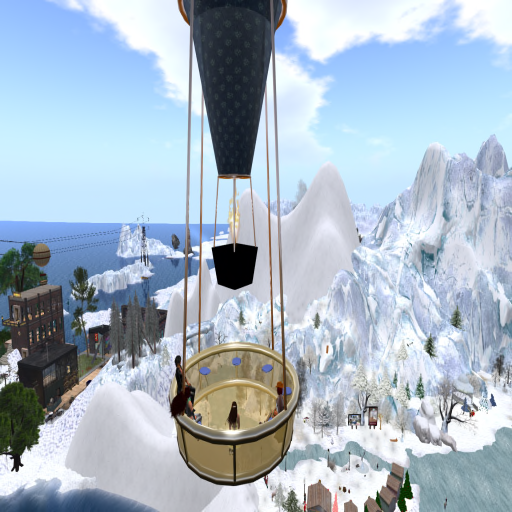 This second balloon ride pic taken by Dabici just before we hopped to our next stop. Drop by and pick up items from their Winter Market. Have tea and bring home a teapot. Have a toboggan ride. Or two. Or twenty. But most of all, try going during Euro friendly hours so you can meet the lovely folks who put this special region together for you to enjoy. A lot of times in the G+ groups or in my social media streams I'll see picture someone shares tagged inspiration. 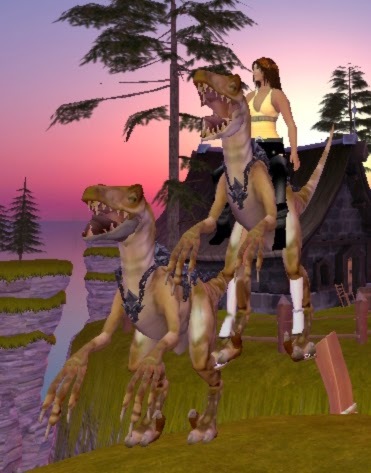 If you've ever wondered what if anything those pics that go around do inspire, you're looking at the most recent evolution of a long line of fun inspired and produced because someone shared a pic of a woman on a white tiger in G+ OpenSim Virtual. 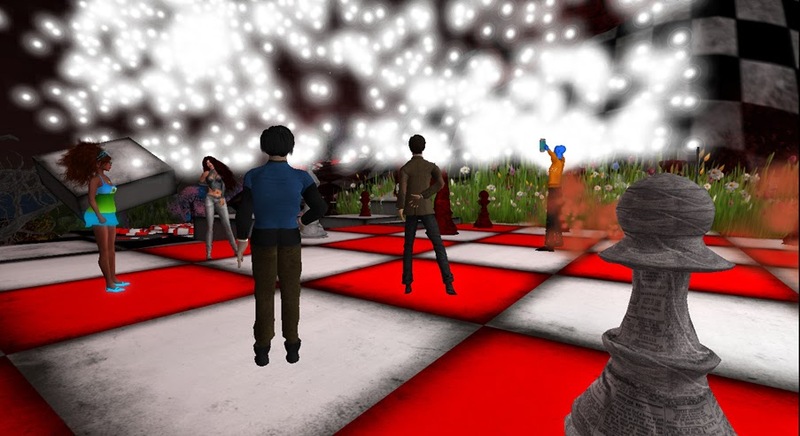 A lengthy discussion ensued as to whether that could be done in OpenSim and at the time that answer was no.Fred Beckhusen didn't let that get in his way. Doxa demonstrates riding a halfatar. Instead, he invented the halfatar. The first halfatar was a woman tiger combination which I rode on an HG Safari once. Later Fred made a velociraptor version. 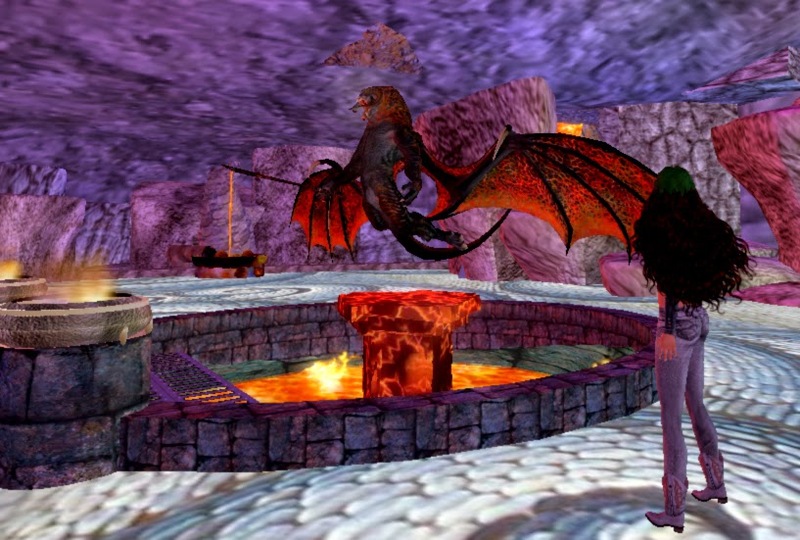 This one he is giving away at Outworldz grid Dragon region is usable by male or female riders. The halfatar led to the creation of a ride-able tiger on land. Somewhere in the middle of all that he created shape-shifting animals, a dragon shifter, and finally this beautiful flying dragon. 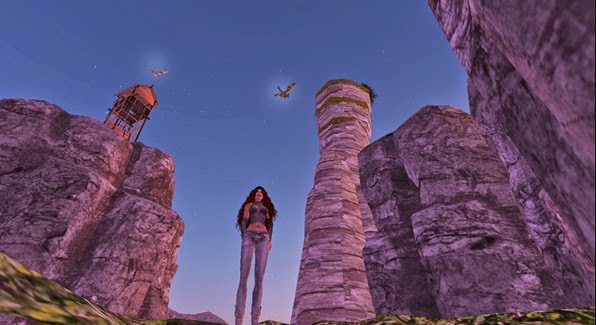 The worlds of Phase Demesnes in SL and Dragons in Opensim were inspired by Piers Anthony's Phaze science fiction series. 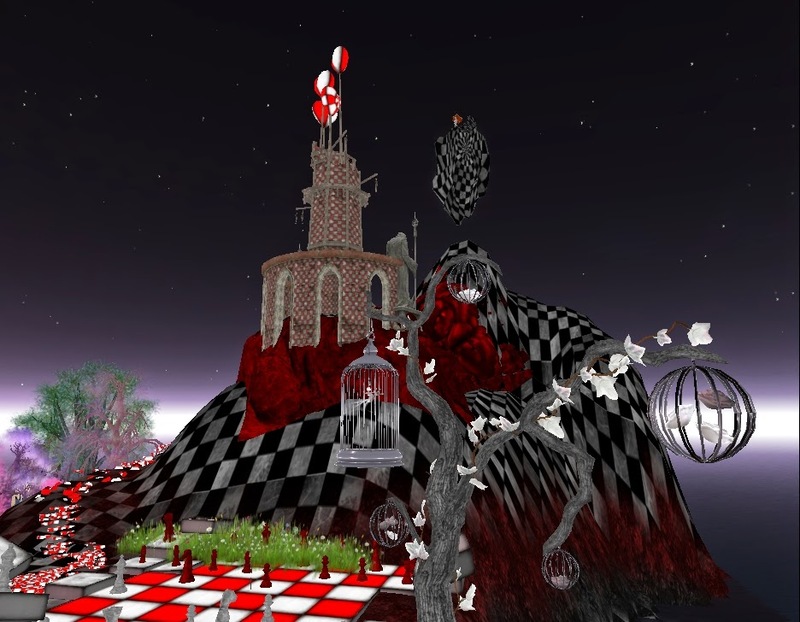 If you haven't seen Phaze in Second Life, do so soon because it will be closing at the end of the month. 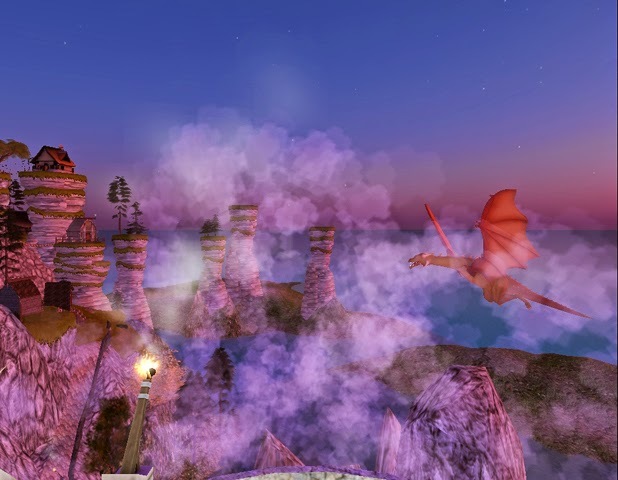 Fred and Debbie Edwards are just getting started with their dragon build in Outworldz. Truth is when I asked Fred if Safari could drop in and see what he was doing, he didn't think he had enough in place to interest anyone. Really, that's what he said. 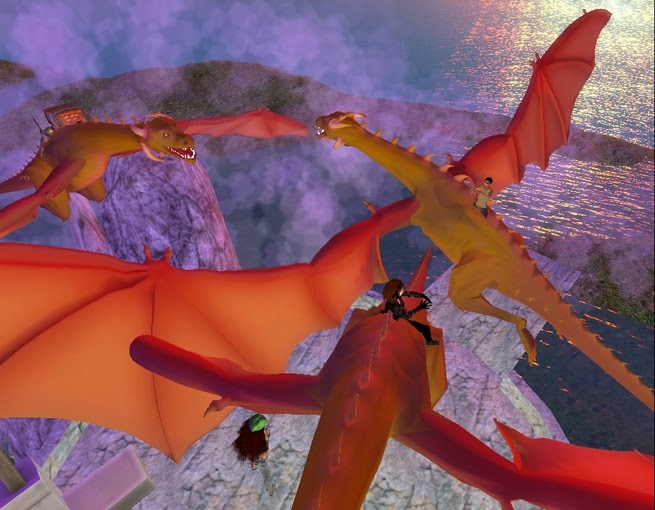 Drop by Dragons, have a look around. Let me know if that's what you think. Go see Alice. It starts as a game. You land by a tree, fall down a rabbit hole and well,you may know how the story goes,but just like the Dragons of Phaze it's an adventure through a story world the way someone else saw it in their imagination. In this case, the someone was Cherry Manga. One pill makes you taller. At various points in the evening we had varying numbers but 14 grid-hoppers overall and 10 who made every hop. Serene Jewell who does a similar weekend event from Kitely was there to greet us when we finished. We sat at the banquet table for the unbirthday party and talked about the adventure of walking through a simulation of a book as it was experienced in another imagination--their inner-space. It's not an easy time we have of it out here exploring the frontiers of inner-space. Things crash, they burn, RAIDS fail, we are bald when we don't want to be. Yet, stacked up against adventures like these, we all agreed the negatives are trivial.